Alberta (Bertie) Hanson started traveling when she was very young, and covered six major mission fields to write curriculum. 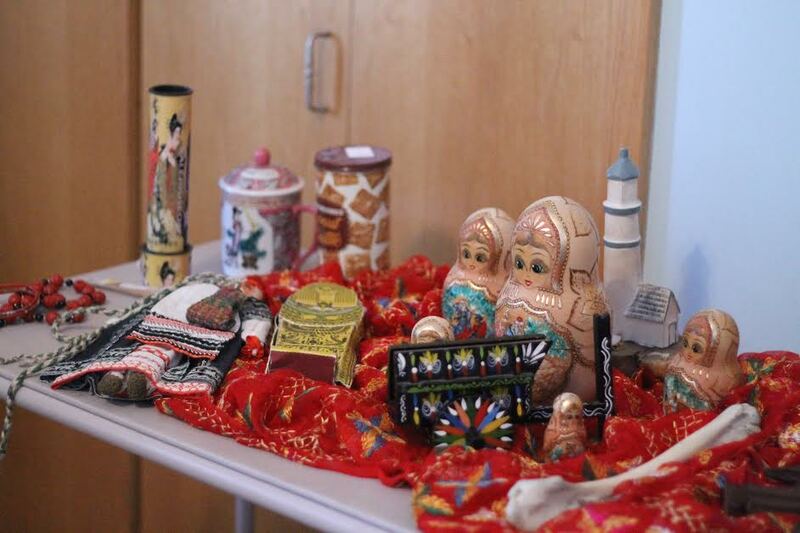 She visited scores of countries, collecting treasures from around the world (pictured below). Bertie was raised in Long Beach, Calif., with her four sisters, Winifred, Willetta, and Edisene. 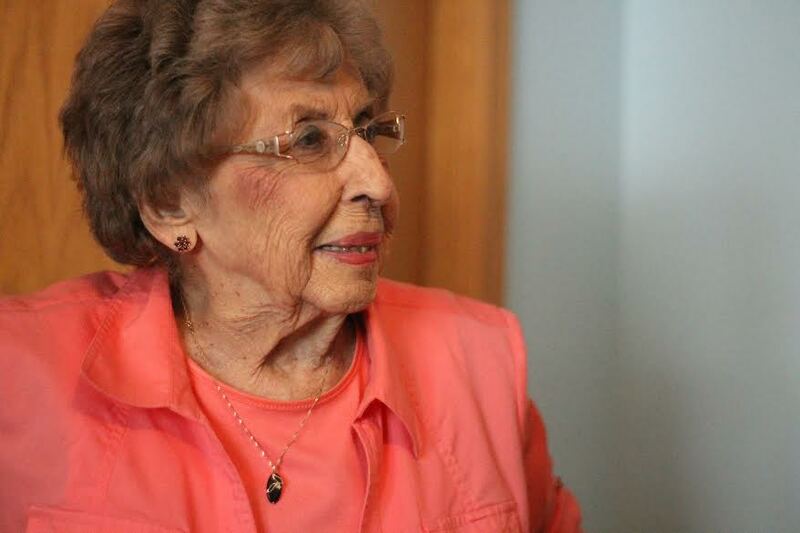 Her mother was a skilled homemaker and Bible teacher, and her father was a ham radio operator for the city of Long Beach.“My father had a small radio repair shop in our home. We listened to world local news as a part of our day…we owned one of the first TV’s. It aired once a week on a screen eight inches across.”After graduation from high school, Bertie attended Westmont College for one year and transferred to Biola University, where she finished her degree and received her teacher’s credentials from the State of California. “This was around the beginning of gospel recordings – the ministry of Charles E. Fuller,” she recalls. Her first missionary trip was to Pinar Del Rio, Cuba with Practical Missionary Training (an outreach through Biola) where she taught Vacation Bible School on the island. The following summer, she taught Vacation Bible School in the Inland Passage into Alaska, and later conducted workshops with the Brethren church in Eagle River, Kenai, and Homer, Alaska. That was only the beginning. Through the years, Bertie filled many ministry roles, including director of Christian education at the former North Long Beach Brethren Church, and mission work in Taos, N.M. with her sister Willie and Willie’s husband Sib Edmiston, missionaries with Wycliffe Bible Translators. She attended language school in Costa Rica and taught missionary children with the Latin American Mission. Bertie also spent some time teaching in Costa Rica, Columbia and the Panama Canal with Latin American Missions. She taught missionary children in Ecuador with HCJB, one of the most powerful radio stations on the top of the Andes Mountains. One of her most fascinating memories is her time spent with the family of Nate and Marj Saint. Nate was later martyred with four other missionaries in what was to become one of the most compelling stories of God’s work among the fierce Huaorani people. In 1965, she toured South America. She also visited the West Indies, Puerto Rico, and Trinidad. In the past few decades, she has toured Israel extensively, as well as visiting lighthouses across America, even living in one for a week. Bertie currently lives in Winona Lake, Ind., and attends the Winona Lake Grace Brethren Church (Bruce Barlow, lead pastor). Though she doesn’t travel as much as she used to, she still retains a sparkle of adventure in her eye – and she finds other ways to stay adventurous, like taking classes at Grace College and tackling new technology with a youthful spirit. (She is currently mastering her newest device – the iPhone.) She has published a book about her travels, called Abundant Adventures with Alberta, which you can purchase here.